We must also condemn Anti-Semitism, anti-Christian coming from the left and also condemn the death of millions and millions of babies kill by Left wing democrats planned parenthood. Violence is violence and we must condemn it in any shape or form. l would not waste my time, you can take your handicap mentality and shove it up yours!! Kaboom!! and have some compassion toward the 47 lives taken out by one of your white nationalist supporters. The shooting left 49 people dead inside two mosques. Some 41 people were killed inside Masjid Al Noor mosque in central Christchurch, while several more were killed inside Linwood Masjid Mosque. The suspect was captured and has been charged with murder. Three other people are also being held in custody, Yahoo News reports. Tarrant also posted a link to his online manifesto to a now-deleted Twitter account and 8chan, an online forum where he spoke about his hatred for Muslim immigrants. In it, he says he was inspired by mass killer Anders Breivik, who killed 77 people in Norway in 2011. He also mentions Finsbury Park terrorist Darren Osborne as well as London mayor Sadiq Khan. He also goes on to rail against mass immigration and said he views Donald Trump as a “symbol of renewed white identity”. The reply said: “Just a ordinary White man, 28 years old. Born in Australia to working class, low income family. After the horrible slaughter in New Zealand by one of Trump's white nationalist fans, surely the U.S. President will recognize and condemn all white nationalist terrorism, right? I dislike Shariah law and its Islamic pedophilia and persecution of Christians. Does that make me a white nationalist criminal? We must condemn violence in any shape and form may it be white nationalism or Anti Semitism or anti Christian or muslim killing Christians in thr middle east and antifa violence in US campuses We must condemn them. Democrats can't condemn white nationalism and at the same time defending anti Semitism and anti Christian coming from Democrat party and democrats must stop defending Hamas and Islamic fundamentalist. and antifa members. The Hill:Why does the media and Democrats continue encouraging Hamas violence? @visafree & @FactsMatters, where is tje outrage and the liberal media? Where are the Democrats at? Why no coverage? CBN NEWs:120+Christians have been killed by Muslims in Nigeria in the last 3 weeks.Where is the Media? LOL..Nigeria is a war zone, innocent people gets kill in this kind of zone no matter what, war dose not discriminate against religion or race, you post this to cover the mass murder in a peaceful let alone in a God worshiping place?. what a coward, I mean if he want to kill jihadist muslim why not join the war in afganistan or yemen? why choose to kill people who are innocent? @visafree, violence is violence and you can find it in peaceful NZ or Nigeria. Nigeria is not a war zone. There are parts of country which are less than 2% where there are conflicts going on. And Nigerian muslims are exterminating Christians and making war on Christians to implement Islam in Nigeria. Christians are being killed in Nigeria just because they are Christians. In Nigeria muslims have made it clear that they will exterminate Christianity in Nigeria. Majority of the 120 victims in nigeria were women and children. Where is the media & Democrats? 120 people killed by muslims and democrats and media is silent. Doesnt fit the liberal narrative that is why you are defending muslims terrorists who killed 120 people in Nigeria. Hypocrite! 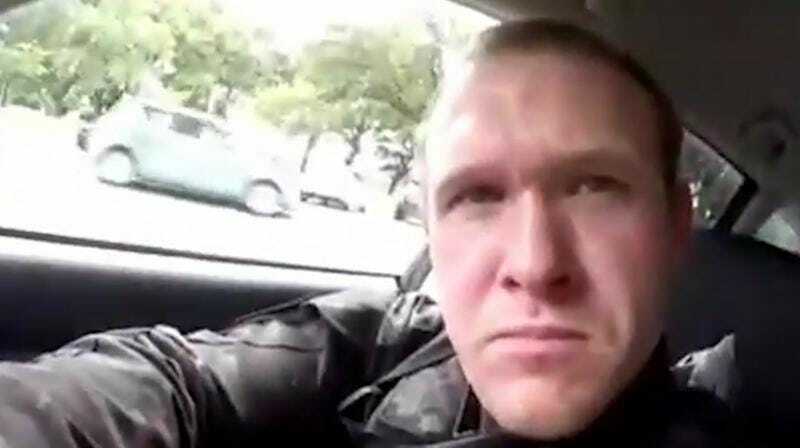 this one in NZ was motivated by hate messages frequently delivered by the POTUS, the killer self proclaimed he a white supremist and he's out to protect, just like the notion behind the wall, to protect from invasion of muslim and any other color people. @visafree, Violence of any shape or form must be condemn. President Trump has condemned white nationalist a thousand times and rubked them a thousand times on t.v. Democrats refuse to condemn anti Christianity and anti semitism coming from their own ranks in Congress. Its hypocritical to condemn and be outrage by a single act committed by a whiteman and at the same time ingnoring anti Semitism coming from your own rank and silent on Liberal Antifa attacking people on campuses and be silent when BLM leaders are calling for the annihilation of the white race along with saying its normal for muslims to kill 120 christians. Lets condemn it not pick one and ignore tur rest. And the wall is to protect Americans. White/Yellow/Black/Brown Americans. 76,000 crossed the border illegaly last month. That is national emergency. 76,000 Americans are killed each year from drugs coming in from MExico. And the wall will save the US taxpayers Billion dollars each year because Thats the amount of money US taxpayers pay to keep illegals in America. Lets not have faux sympathy visa and lets not spread fake news.